Ashok Deshmane was born in the Parbhani district of Marathwada. He grew up facing poverty and hunger. But he did not let that dampen his spirit. He got himself an education, a job, changed the course of his life and today he harbours an undying desire to help others in need. He was constantly worried about people back home and went back to see that the children roamed the streets, starving and unaware of anything that was out in the world. 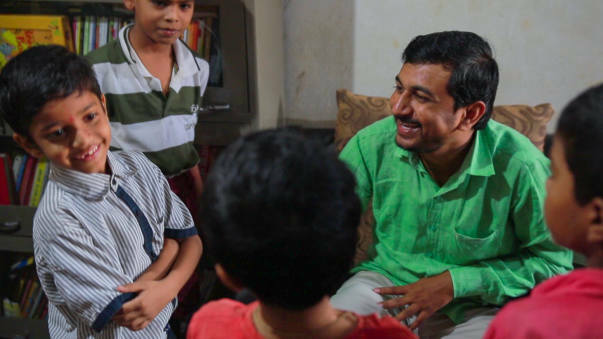 “When I was in Pune around in 2014, I gave free tuitions to children from the slums around where I lived. However, those kids had to move away and I felt I could have done much more for them,” Deshmane said. With this spirit, he started his NGO, Snehwan in December, 2015. As a part of it, he decided to adopt kids from Marathwada belonging to families in which the farmers have committed suicides. Some of these kids are also from families who are in debt and are having a hard time providing for themselves. "I felt if I had the will I would find the way. I began working night shifts, and for 8 months I continued to work towards setting up this shelter. A friend of mine gave away his old house of 4 rooms for the children to live in, and I got Snehwan registered. However, the night shifts began affecting my health.” So by August 2016, he quit his full-time job and dedicated himself to give quality education to the children. 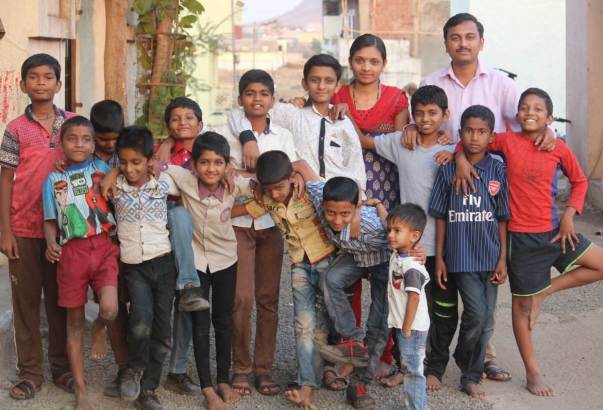 He has identified 25 such kids from various districts of Maharashtra and provides accomodation to them at a donated apartment in Bhosari area of Pune. “If you want the next generation of farmers to do something substantial in the near future, it is necessary to educate them. And just basic education is not enough. Teaching them various subjects like computer science, music, dance, painting, etc is needed. It is required that children are taught according to their talents,” says the 29-year-old who has completed his Masters in Computer Science. 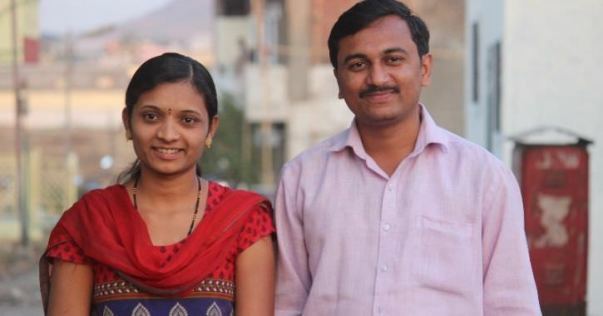 Deshmane got married in November 2016, and his wife Archana was more than happy to know about his cause and contribute to it. 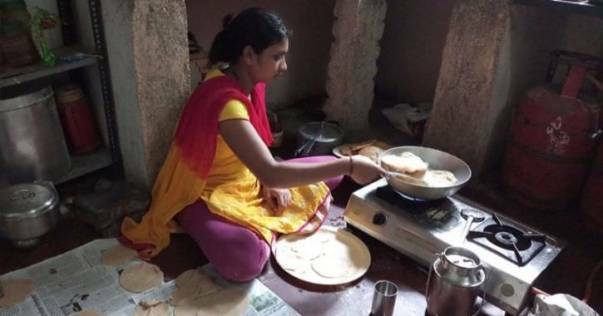 She cooks meals regularly for the one large family they have and is like a mother to them. “My kids call my parents ‘Ajji’ and ‘Ajoba’, meaning grandmother and grandfather in Marathi. My father, in fact, teaches the students how to play tabla,” Deshmane said. Your support will help bring light to many more children of draught affected farmers who are deprived of a better future because of lack of education. Right now, the children are preparing for their board exams which will start next month. We have bought some land and have got it registered as well. The stamp duty itself cost around Rs. 4,00,000. We will be needing more funds for infrastructure and for the construction, and hence we need your support again. Please contribute to the campaign! Thank you all for your support. Wish a happy new year to you and your family. cational trip of Snehwan children. Children learnt and enjoyed a lot. Thank you so much for your kind support and blessings in this journey of Snehwan. Please visit Snehwan with your friends and family. Please watch the video on below link. We are taking the children for a new year trip on 5th January, 2019. The kids will be taken to Park, Appu Ghar, visit a college and then have dinner outside. Will share the pictures after the trip soon.